Small adaptations will help increase your efficiency in dealing/working with your software. Conjointly we will look how existing software can be adapted to your individual requirements. When standards are no longer adequate, it is time to find your own solution. 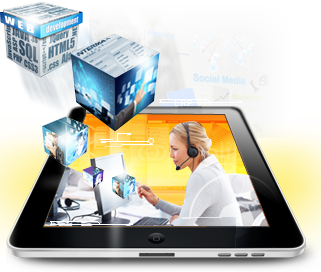 Conjointly we will go through existing software and customize it for your requirements. Our individual software solutions are geared to the needs of your business. Instead offering software for the mass market we develop solutions which is dedicated to your needs. You have a 80 per cent solution for your company? Let’s speak about the missing 20 per cent to improve your workflow and also increase your efficiency . If there are any problems and question about the software solutions or single components- our support will be on hand with help and advice. Time for brushing up your own system? You are looking for an editorial system, which permits you to work with your coworkers on different times and various locations? Then feel free to test our “CMS management system” Get to know your Customer from a new point of view and increase your knowledge about your target group i.e. who buys when and how much. Unfortunately we are not able to relieve you from this work, but we can certainly help by organizing the workload, so you can concentrate on the essentials. Delegate, set realistic goals, control and always have a clear view on the cost of the projects. We will develop Customer made software designed for your special needs/requirements. We will be satisfied after your vision of the solution is implemented 100%.